Modular Professional Srl is part of Nice Group, an international company with over 300 mln. euro annual revenue and branches all around the world. Modular has been designing and manufacturing high level catering equipment for food service and hospitality industry since 1986. Over the years, Modular has specialized in producing, totally inside its plants in Italy, a complete range of cooking equipment, starting from heavy duty ranges such as cooking islands, 700-900 and 1100 series, suitable for restaurants, canteens and high volume kitchens, to the smallest 600-650 series, suitable for snack bars, pubs and fast food outlets. 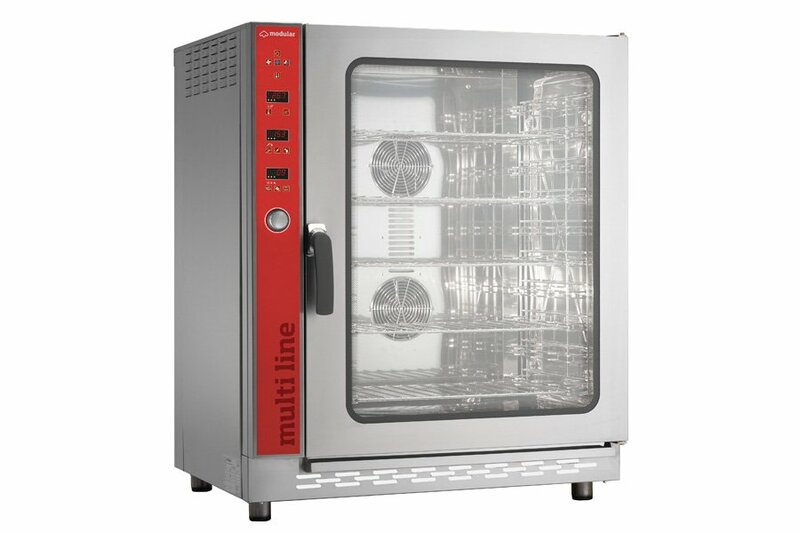 Today, Modular offers a complete range of products made of Horizontal cooking equipment, Ovens, Dishwashing and, in support to international turn-key projects, Refrigeration and Self-service line as well. Our plants and head office are located in San Vendemiano, Italy, near Venice. EMOTION 700/900 elegant and modern design, high thickness pressed stainless steel worktop AISI 304 1,5 mm/ 2 mm/ 3 mm, IPX5 water-proof knobs, high thickness cast iron grids, single and double crown brass burners from 6 to 10 kW. 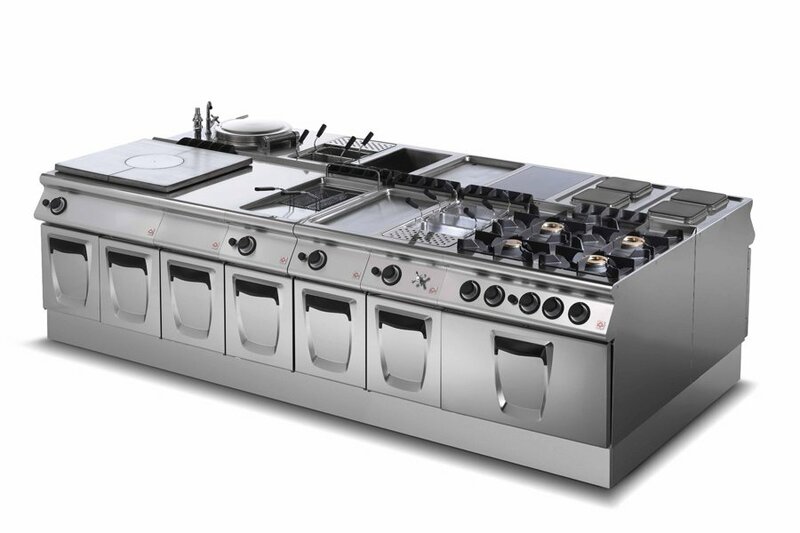 PRATIKA 700/900 functionality and elegance, stainless steel worktop AISI 304, IPX5 water-proof knobs, cast iron grids, enameled containers, single and double crown brass burners from 5,5 to 7,5 kW. 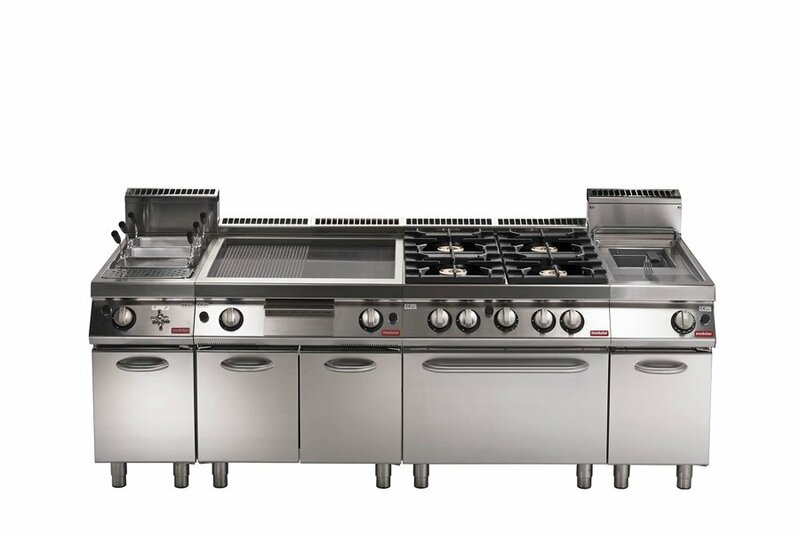 FUNCTION 700/650/600 pressed worktop stainless steel AISI 304 1 mm, cast iron or enameled grids, single and double crown brass burners from 3,7 to 5,5 kW. 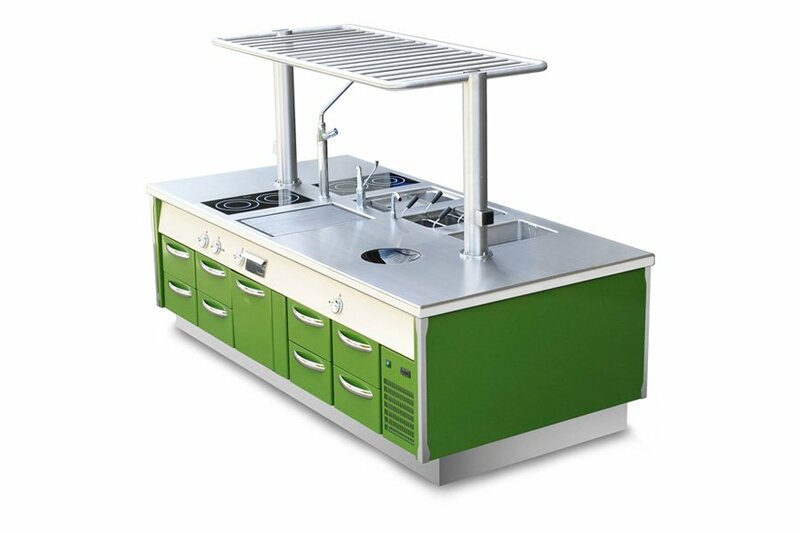 COOKING ISLAND a Chef-inspired solution, customized according to any personal request in shape, color and endless configurations. Entirely made of AISI 304 stainless steel, the pressed worktop can be 30/10 or 40/10 thickness, starting from the classic shape up to the most complex ones. 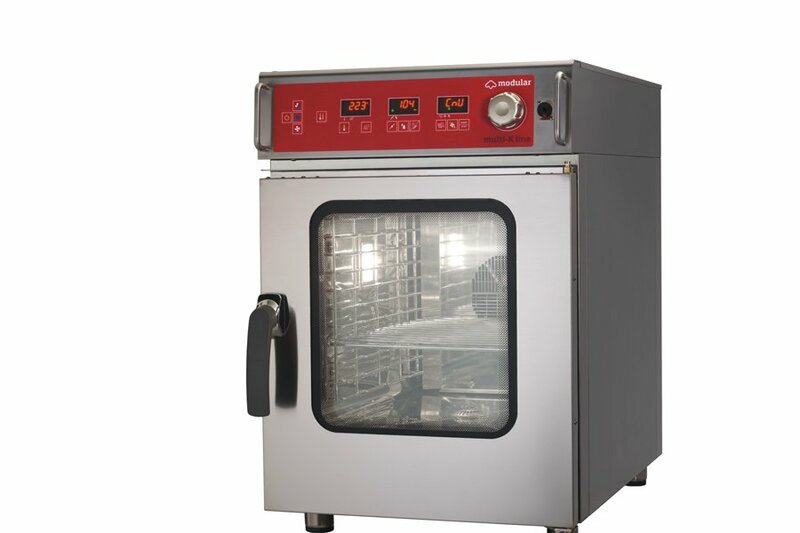 Ovens MULTI-LINE and MULTI-K LINE gas, electric convection and combi high-performance ovens for the preparation of the most sophisticated dishes, available with electro-mechanical or digital control panel. 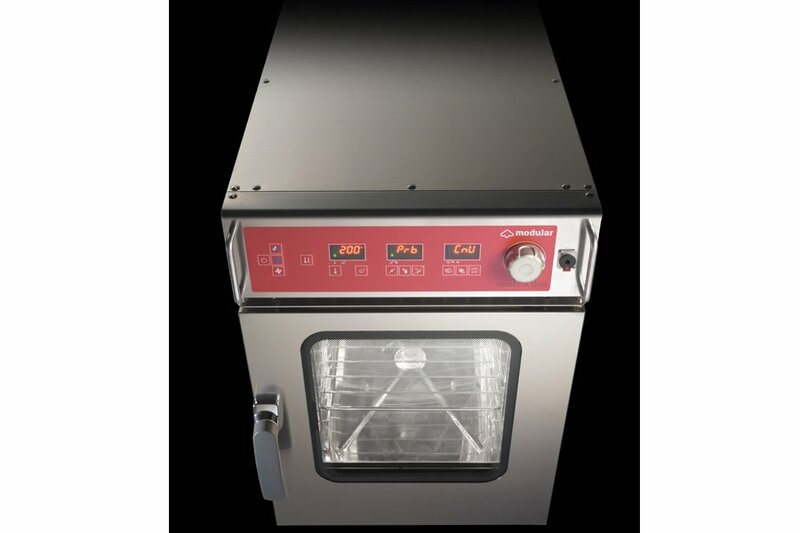 Ovens PRATIKA LINE electric convection ovens for coffee shops, small restaurants and delis, available in bakery or gastronomy versions, with electro-mechanical or digital control panel. 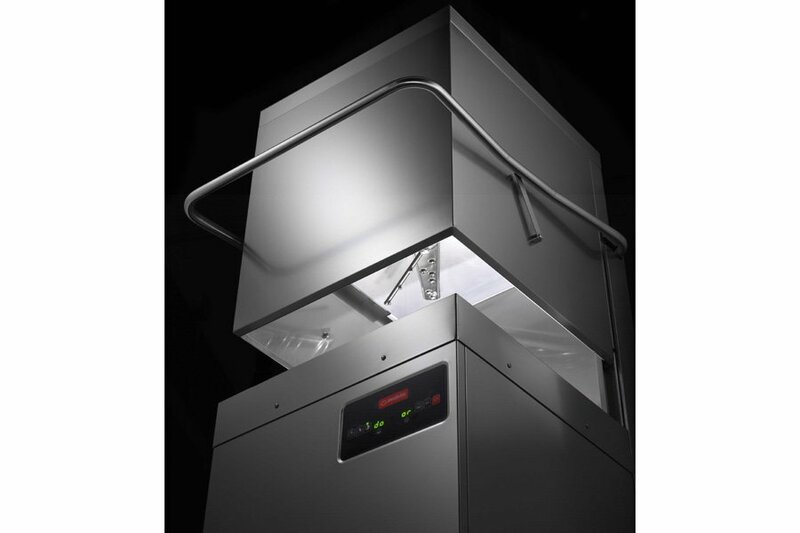 ELECTRO-MECHANICAL and DIGITAL dishwashing machine cup washers, glass washers, dishwashers and hood type models entirely made of stainless steel 18/10 AISI 304 with pressed tank with independent wash/rinse arms.